There was a big appetite among moviegoers to spend the Fourth of July watching the most political “Purge” film yet. 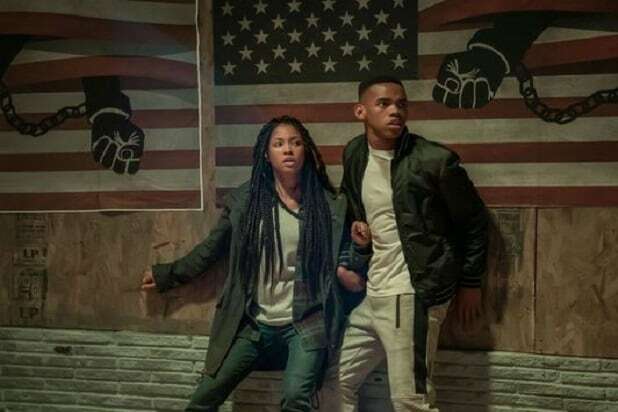 Universal/Blumhouse’s prequel “The First Purge” opened on Wednesday to $9.4 million, which includes $2.5 million from Thursday previews. While the July 4 opening date was set in part as an ironic play on the film’s themes of corruption and violence in America, it also allowed the film some time in theaters before the arrival of Marvel’s “Ant-Man and the Wasp,” which is expected to easily take the No. 1 spot this weekend. As a horror alternative, “The First Purge” is expected to make $25-30 million over five days against a reported $13 million budget. In a summer that has largely belonged to Disney, it was Universal that had the lion’s share of the holiday box office. Along with “First Purge,” “Jurassic World: Fallen Kingdom” took the top spot on the daily charts with $11.5 million. The blockbuster sequel should pass $300 million domestic on Thursday and cross $1 billion worldwide this weekend. 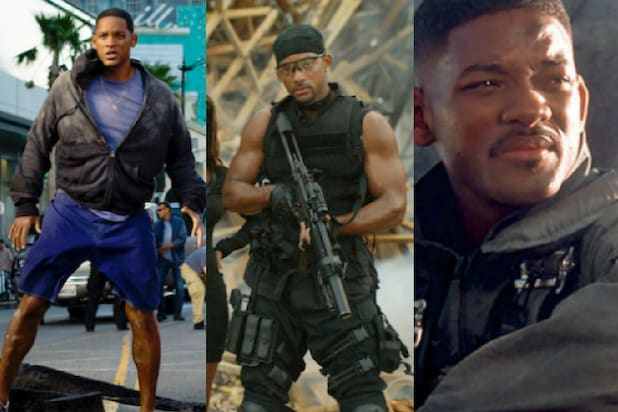 Will Smith is a summer box office king, from $624 million made by "Hancock" to $273 million worldwide in "Bad Boys II" (both of which celebrate major anniversaries this month). Look back at the star's summer blockbusters. Worldwide lifetime grosses are ranked from lowest to highest. Will Smith had already earned a Grammy and cemented himself as a television star with his role on "The Fresh Prince of Bel-Air." But it was his supporting role in this 1993 comedy about a sperm donation gone awry that established him as a film actor -- and a box office draw. The Whoopi Goldberg, Ted Danson comedy grossed $104 million worldwide. Twenty years later, Smith starred opposite his son Jaden in this post-apocalyptic science-fiction film about a general and his son who return to Earth long after it was abandoned and fight for their survival. The film was panned by critics but still eked out $243 million worldwide against a production budget of $128 million. Smith later called it "the most painful failure of my career." Smith starred as a U.S. Army captain on the hunt for a conniving Confederate general in the 1999 Western-comedy "Wild Wild West." The high-budget film grossed $222 million worldwide. Smith starred alongside Martin Lawrence as a narcotics detective investigating the flow of ecstasy into Miami. The film was released 15 years ago on July 18, 2003. Although the film was panned critically, it grossed $273 million worldwide. In this loose adaptation of an Isaac Asimov short story, Smith starred as an outcast Chicago detective in a futuristic world where robots serve humanity. The film grossed $347 million worldwide. In the second installment of the "Men in Black" franchise, Smith returned as Agent J, tasked with fighting an evil alien played by Lara Flynn Boyle and retrieving Agent K (Jones) from blissful retirement. The film received mixed reviews but grossed $441 million worldwide. In the first installment of the "Men in Black" summer movie franchise, Smith starred opposite Tommy Lee Jones as an undercover alien-fighting government agent in New York City. The film opened to acclaim and grossed $589 million worldwide. It won the Academy Award for Best Makeup and received additional nominations for Best Art Direction and Best Original Score. Fifteen years after the first film in the "Men in Black" franchise, the dynamic duo of Smith and Jones returned for a third installment. Smith travels back in time to prevent an attack on his partner's past self, and teams up with a younger version of Jones' character, played by Josh Brolin. The film was the most successful in the franchise, earning $624 million worldwide. This superhero comedy opened 10 years ago in theaters on July 2, 2008. The film starred Smith as a vigilante, alcoholic superhero in Los Angeles. Despite receiving negative reviews from critics, it earned $624 million worldwide. Smith starred as the expert assassin Deadshot in this superhero movie from DC Comics, alongside an ensemble cast that included Jared Leto, Margot Robbie, and Viola Davis. The film received largely negative reviews from critics, but earned $746 million worldwide and became the first DC Extended Universe film to earn an Academy Award when it nabbed the Oscar for Best Makeup and Hairstyling. This one's the king of all Will Smith summer blockbusters. He starred as a Marine pilot working to launch a counterattack against alien invaders on Independence Day. The film's use of CGI to wreak mass destruction is viewed as a turning point in the evolution of the Hollywood blockbuster. The film grossed $817 million worldwide and briefly became the highest-grossing film of all time behind "Jurassic Park." The film won the Academy Award for Best Visual Effects.